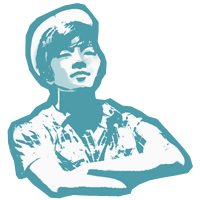 Mother Kook was born and raised in Selangor, Malaysia. She is forever raving about her favourite roadside hokkien mee stall. Therefore when the Malaysian Food Street announced its opening in RWS, there was little need to travel hundreds of miles to Malaysia just to savour the street food. I knew I had to tag my mother along. Officially opened on January 2012, this nostalgically designed (from the 1970s) food street with 17 stalls offering authentic Malaysian favourites, which includes the famous Jalan Alor Hokkien Mee, Huen Kee Claypot Rice, Fung Wong Confectionary, KL Kampong Chicken etc. Do you know? - The 17 stalls in this food street are specially hand-picked by RWS after trials and rounds of selection. We ordered a large Huen Kee Claypot Rice w/ salted fish (S$12.00 + S$3.00 for salted fish). 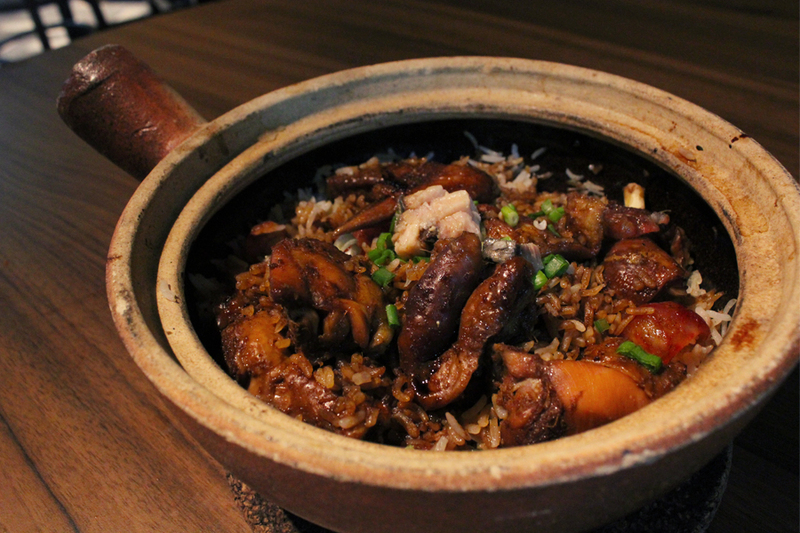 It is cooked using the traditional way of using charcoal stove, with charcoal placed below and on top of the claypot. Unique, isn't it? Apparently it is use to lock the flavours, resulting in a pot of fragrant rice coated with black soy sauce and well-marinated chicken. There is a slight tasteful crunch to the rice and the chicken meat is soft and tender. The overpriced salted fish did add some additional flavours which complemented the claypot rice, but it is totally fine without it. And obviously, we had the highly anticipated Jalan Alor Hokkien Mee (S$6.00) - noodles cooked with dark and light soya sauce, which comes with homemade belachan sauce. 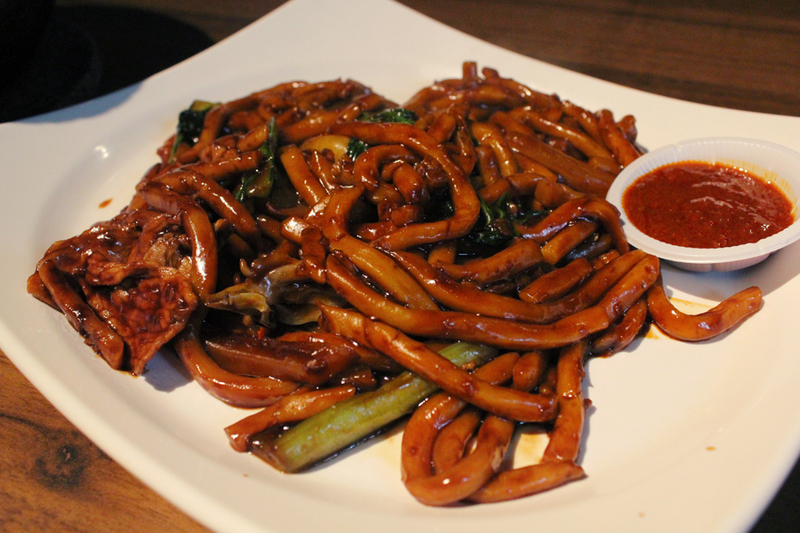 The Hokkien Mee has a slight chewy texture, imagine Japanese udon. Although this dish is delicious overall, Mother Kook commented that this is nothing from the original, authentic ones she had back then. 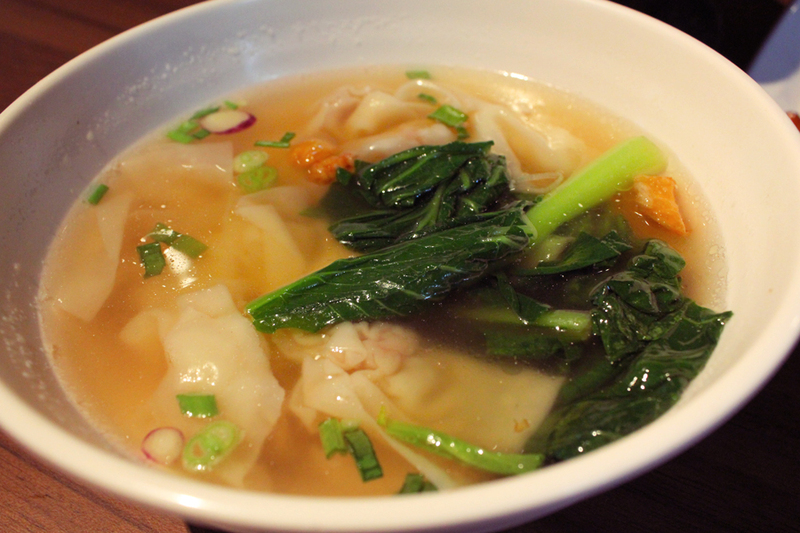 We also had the KL Wanton Soup (S$4.00 for 8pc), which was pretty decent. Each wanton is wrapped with just the right amount of ingredients, which includes juicy minced pork and shrimps. Well actually, we ordered it as an alternative to the overpriced drinks. Overall, Malaysian Food Street is one place to have a decent and affordable meal whilst you're at RWS. Although definitely not a substitute for the real deal back in Malaysia, it offers a quick fix for anyone who misses the taste of iconic Malaysian dishes.